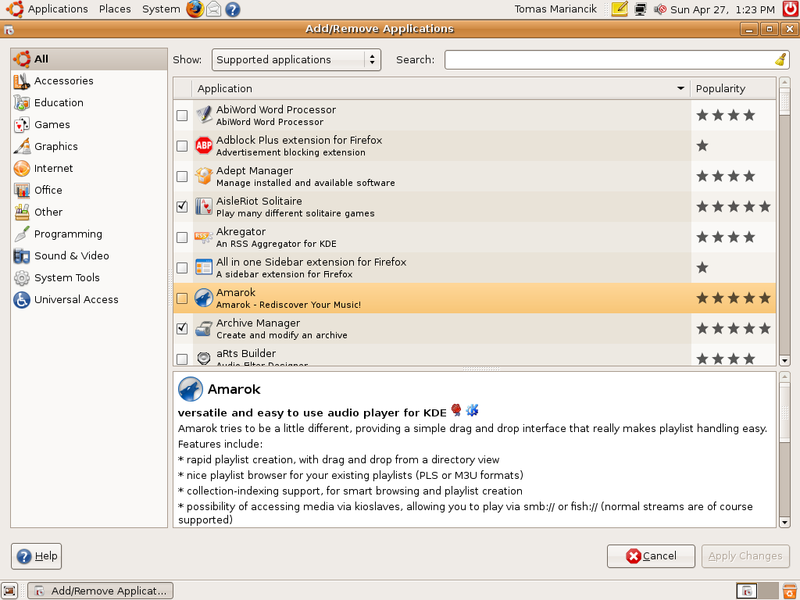 Ubuntu 8.04 called Hardy Heron is new version of popular Linux distribution. Ubuntu is OpenSource and free, so if you want try Ubuntu, go to Ubuntu's homepage. On the screenshot above: Application manager - you can easily add or remove applications from your Ubuntu.